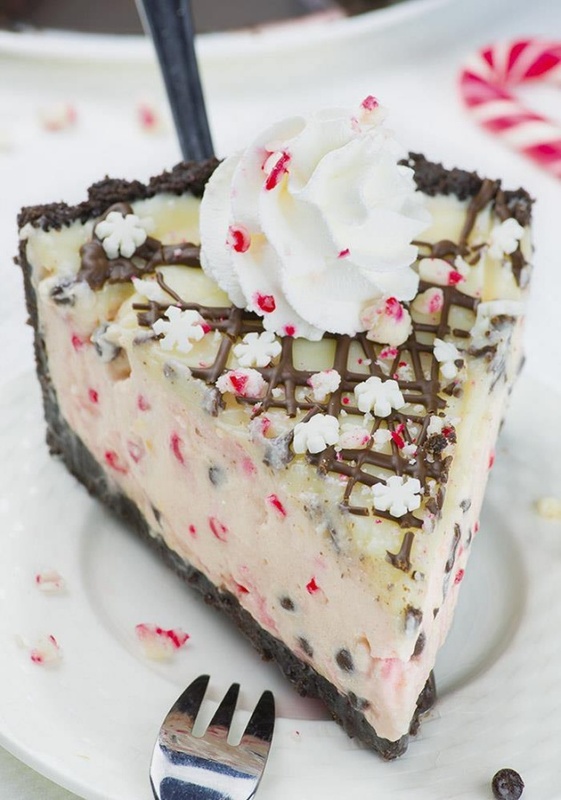 Candy Cane Pie By Vera Z from Oh My Goodness Chocolate Desserts - Candy Cane Pie is the only dessert recipe, you’ll need this Christmas! It’s no bake pie with crumbly Oreo crust and white chocolate ganache on top. And the filling is a bomb! It’s combo of cream cheese, whipped cream, instant pudding, butter, chocolate chips and crushed candy canes!